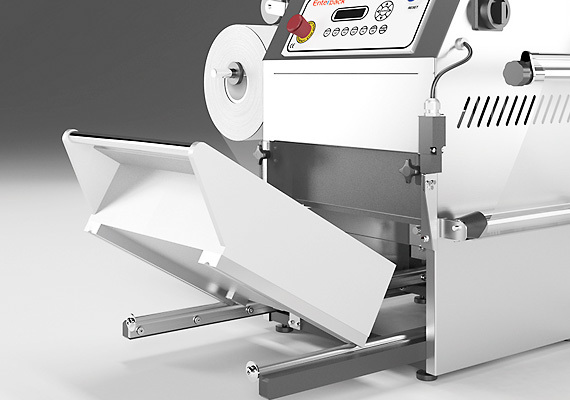 The technology used in our larger inline machines is also used in our entry level ESK-100 model. 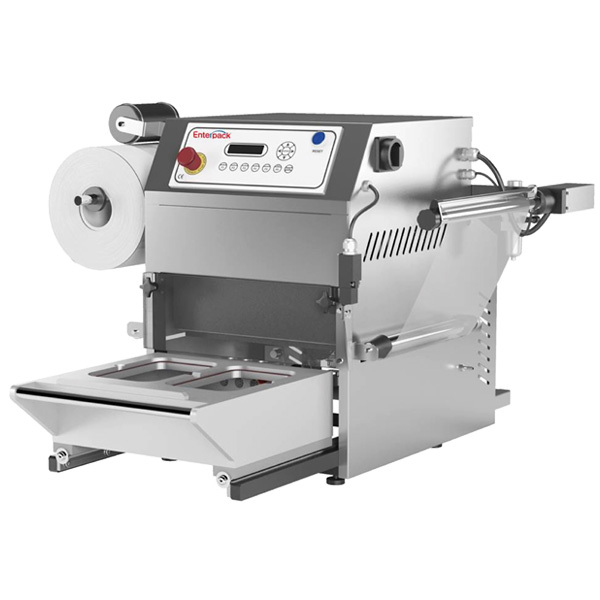 Its features include automatic film re-winder to collect waste film, heater set changes without the use of tools, multifunction control panel and easy clean tooling. The ESK-200 is a larger more powerful version of the ESK-100. It has increased output and can seal larger trays. The unit is self-contained with a stainless steel base and integral compressor. 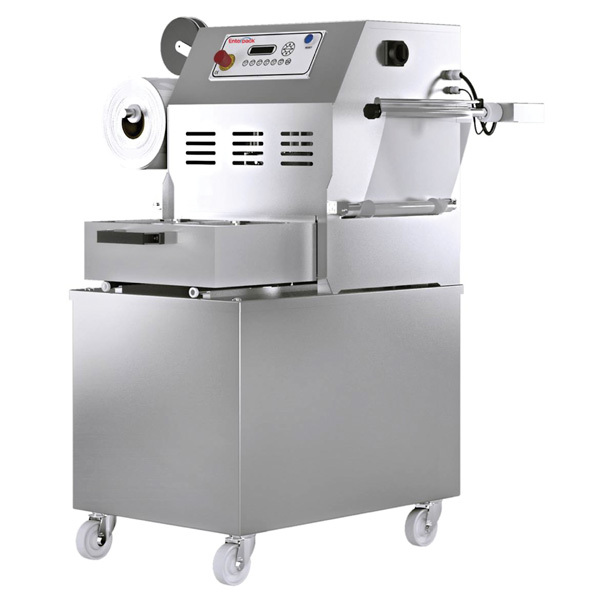 The ESK-250 is a rotary sealing machine for skin packaging, MAP (gas flush) and tray sealing. Its rotary turntable reduces the cycle time and optimises output. 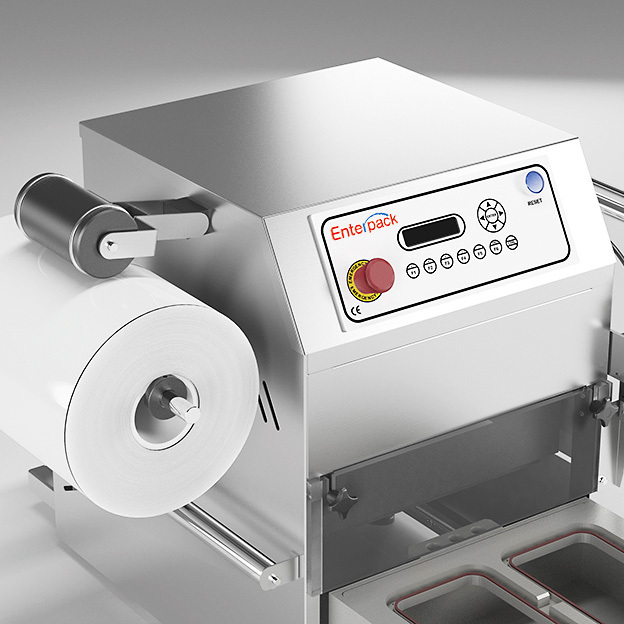 The ESK-400 is a fully automatic machine for skin packaging, MAP (vacuum and gas) and tray sealing. 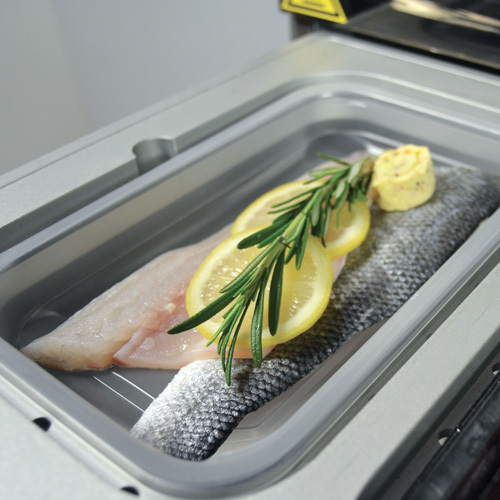 The ESK-400 can pack up to 28 skin trays, 32 MAP trays or 60 sealed trays per minute. 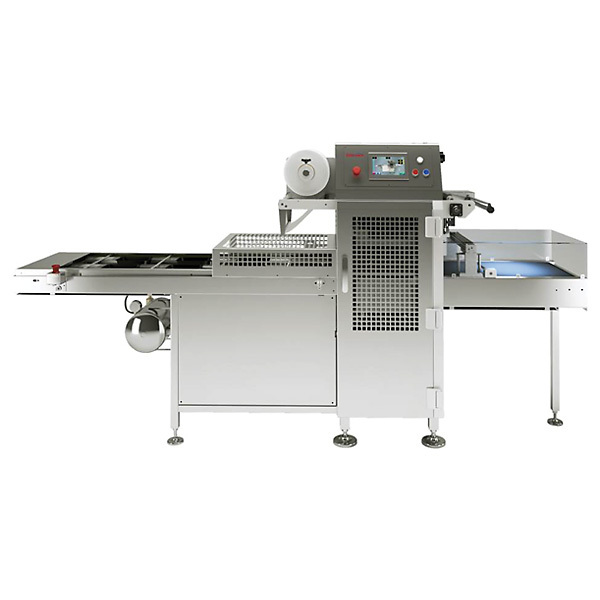 Enterpack Skin Pack tray sealing machines allow high quality, supermarket level, skin pack sealing that can fit the budget of most independent producers. When you walk in to the meat and fish aisles of your local supermarket, you are likely to find cleverly wrapped steaks, chops, joints and fish fillets, appearing to sit on unwrapped food trays. This illusion is created by stretching a crystal clear film around the product like a second skin. This gives the product fantastic visual appeal, crisper and fresher than other packaging methods. 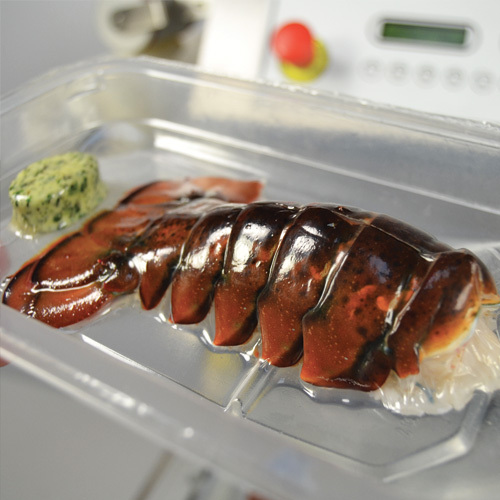 Skin pack combines the presentation benefits of tray sealing and the enhanced shelf life of vacuum packaging. Enterpack now offers entry level systems that fall within the budget of most independent producers, previously only affordable to large manufacturers. Customers are presented with an appetizing product that stands out from the rest. Producers benefit from; increased sales, longer shelf life, reduced waste and a clean, safe and hygienic finished product. The skin pack method brings other advantages; packs are easy to open yet have a strong seal strength. The packaging is tamper evident, reducing the risk of leakage and returns. Packs can be displayed vertically without spoiling the presentation of the product inside. Red meat products can have an increased shelf life of 14-21 days with a white fish increase of up to 8 days. Product can now remain in date over two consecutive weekends extending your sales opportunities. 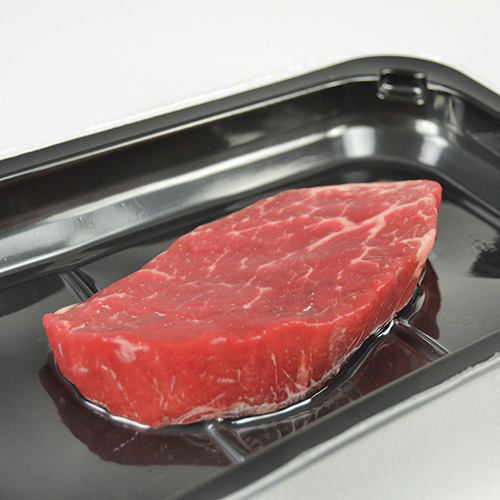 Meats can be marinated in the tray. Meat can also mature in-pack improving tenderness, taste and texture. 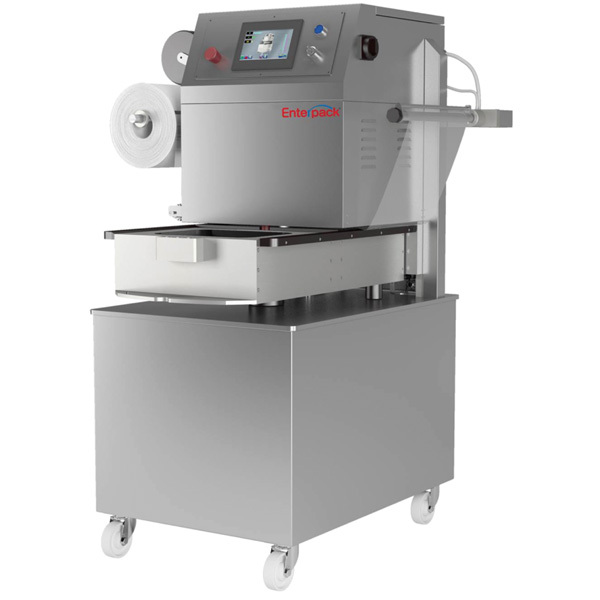 The Enterpack skin system comprises machines, specially designed tooling and high quality trays and films.